Select User-Defined as the Document Size. The User-Defined Paper Size window appears. Note: This option may not be available for all paper sources. 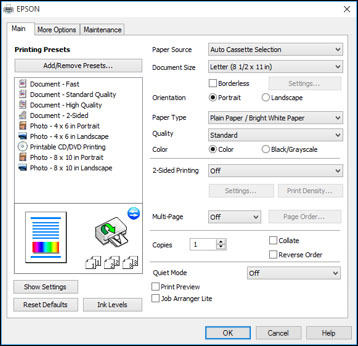 Enter a Paper Size Name, then select the Paper Width and Paper Height. Click OK again. The new size is created. You can now select the new size from the Document Size list.